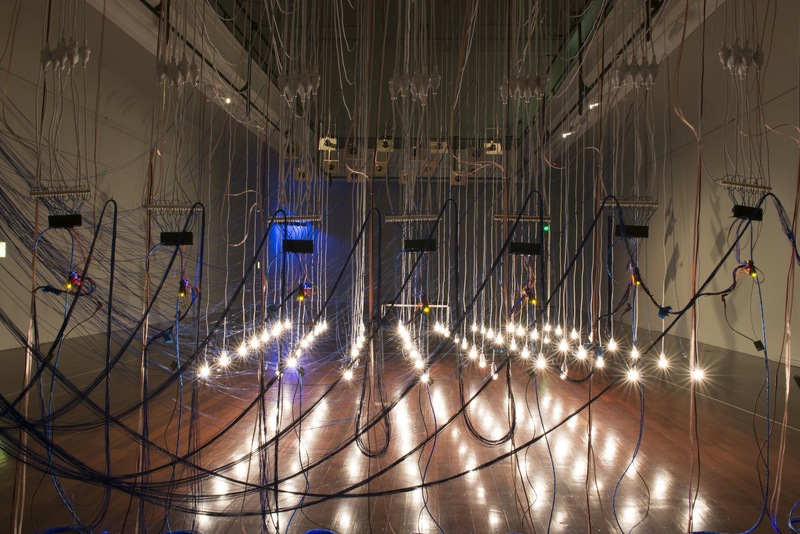 is an installation about interaction in contemporary networked cultures. Utlizing simple electronics – wires, light bulbs, relays and speakers – a complex physical and behavioral system is constructed to reflect on the wondrous and insidious nature of mediated memory and communication. Arguably information storage and retrieval has become a continuous performance of repetition, reinforcement and emergent change. The rise of machine learning in financial, security and social media systems, has lead to a situation in which both human and machine are constantly ‘performing’ and ‘(re)viewing’ knowledge and memory. And it is by no means just (or even) a human performance – the machines are actively, if not more involved – essentially ‘composing’ and ‘choreographing’ knowledge by associating and prioritising access to what is ‘relevant’. Filament Orkestra is an installation about these contemporary intersections between technology, communication, knowledge and memory. This arresting visual and sonic construction is literally interacting with itself – constantly viewing and reviewing it’s own performance. Each light globe is controlled by a magnetic relay, and each light globe has a sensor monitoring it’s current state. As a series of initial patterns are played, the Orkestra continuously attempts to learn and re-play what it has just perceived. 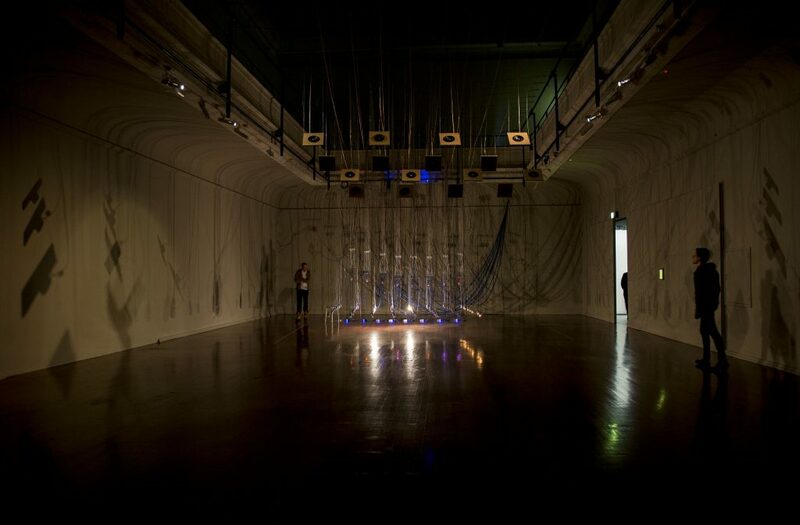 Audiences are drawn to reflect on the process of interaction itself – literally thrown into the shadows of interconnecting communication flickering around them – they become aware of their own agency in the face of a system that possibly no longer needs them. This clearly electronic, yet organic system exposes our beliefs and fears about human and machine interaction in the networked age: for who or what are these ‘organisms’ performing? who is listening or watching? and what is being created? And to what extent are we able to really act, react or interact with one another? 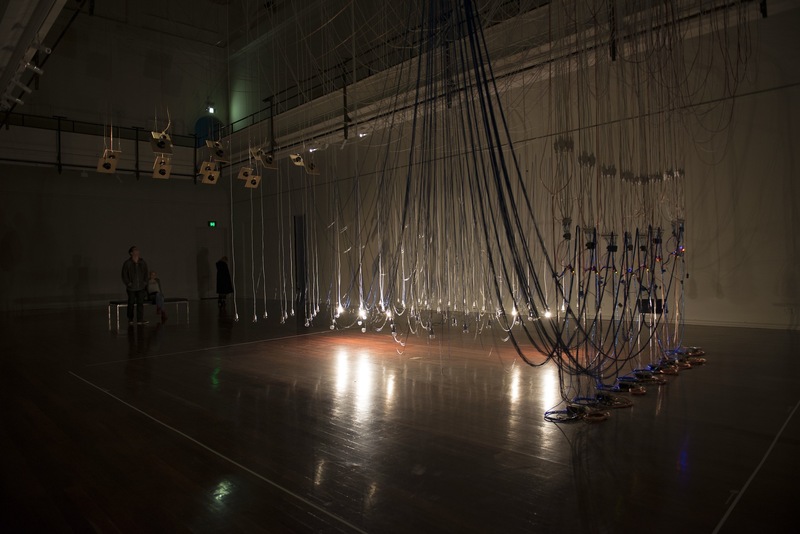 The Filament Orkestra was commissioned by the Perth Institute of Contemporary Arts for the Exhibition ‘What I see When I Look at Sound’ (2014).